We specialize in the fabrication of Cement Silos that are in line with the highest quality standards prescribed by the industry. These steel cement silos are widely used for storage purposes in heavy industries and fabrication units. Robust in construction and durable in nature, our industrial cement silos are subject to customization to meet the specific requirements of our clients. 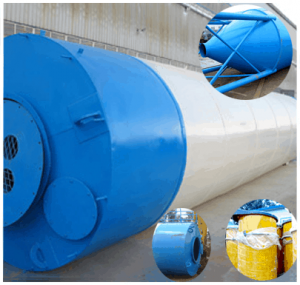 Bulk cement silo is an enclosed tank storage of bulk materials, suitable for storing grain, cement, fly ash and other bulk materials. 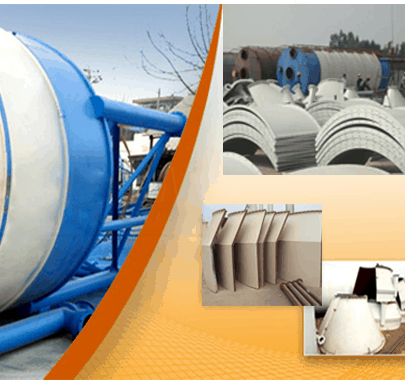 Cement silo, or cement tank, is a kind of tank for storage bulk cement, fly ash, grain or other kind of bulk material.